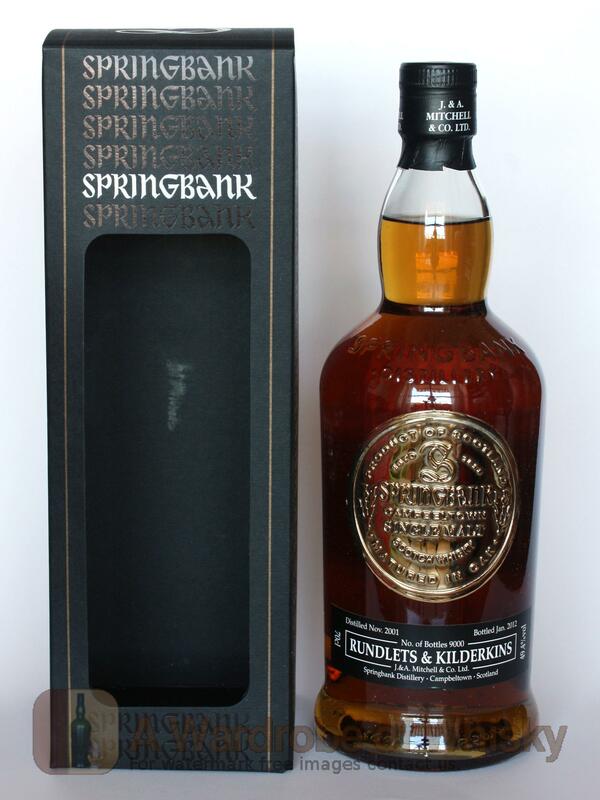 An interesting experimental release from the folks at Springbank - distilled in November 2001 and bottled in January 2012 after maturation in Rundlets and Kilderkins, which are small 60 and 80 litre casks. 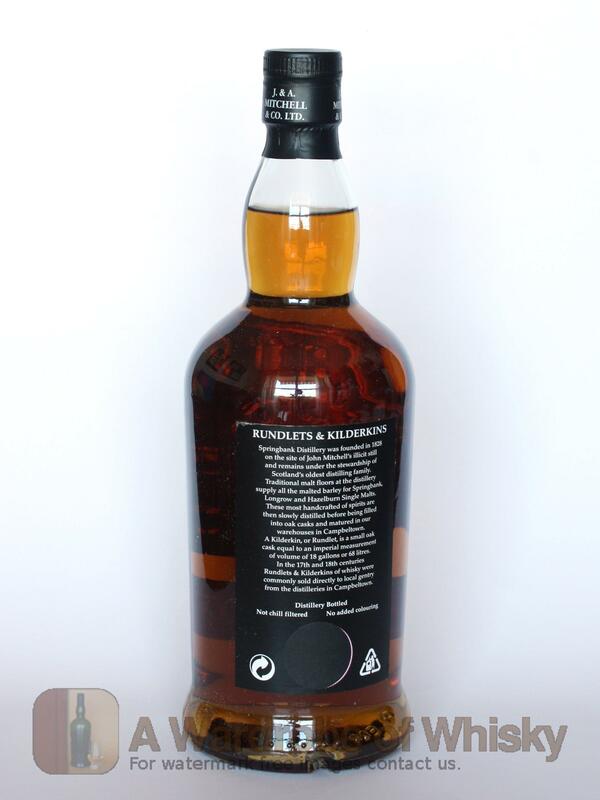 It's therefore had lots of wood contact over its 10 years and combined with Springbank's regular rustic charm it's a bit good. Noticeable smoke, brine & an oily texture. Nose (91): more than average. peat, honey, citrus, wood, spices, sandalwood, flowers. Quite nice nose with lots of different styles of wood inside but not woody at all at the very same time. Taste (90): powerful, oily. peat, honey, citrus, spices, cinnamon, wood, liquorice. Finish (89): longer than average. peat, wood, spices. 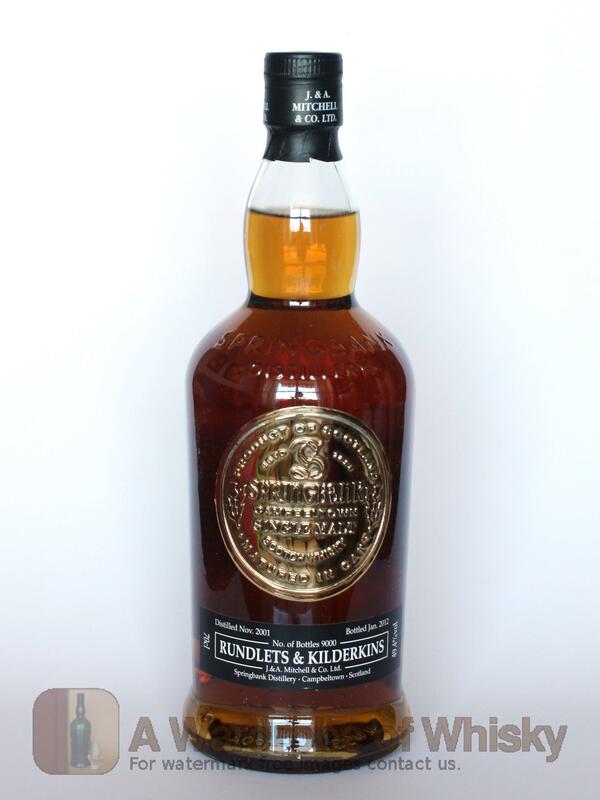 These bottles have been chosen over others because their nose, taste and finish are more similar to Springbank 2001 / Rundlets & Kilderkins Campbeltown Whisky than the rest. Go to Whisky-o-matic page to fine tuning other settings.